With the IPO market bursting into life in 2014, new research from Capita Asset Services, which provides expert shareholder and corporate administration services, shows investors who buy into an IPO would see their returns outstrip the wider market. Detailed analysis of 10 years of UK IPOs shows that in their first month, new listings outperformed the FTSE All Share 7.0% on average. After 6 months, they are 11.5% ahead. After a year, the average listing has outpaced the index by 10.5%. Not only that, but the all important first day bounce, necessary to give investors some instant gratification, is alive and well. On average, new listings rise 5.7% on day one, outperforming the market by 5.4%. This is not just the result of a minority of companies seeing strong gains. On the first day of trading, investors stand a 70% chance of seeing a price rise. 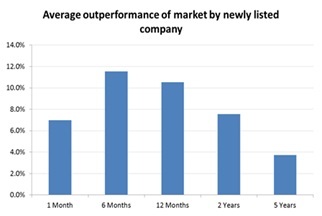 Equally, 70% of companies analysed ended their first month of public trading with greater gains than the FTSE All-share, while a majority (53%) still outperform a year on. Over the longer term, while the probability of a company outperforming the wider index inevitably falls, the gains made by those that outperform outweighs the losses by those that see worse growth than the FTSE All-Share. 57% of companies see slower growth than the index after two years, although across the board, there is an average outperformance of 7.6%. Five years from IPO, the trend persists. 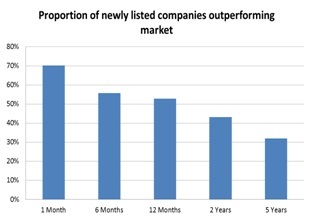 Although the number of companies outperforming the market falls to a third (32%), on average there is still an outperformance of 3.7%, even accounting for companies that went into administration or were bought out. The ten year analysis also highlights the prospects of a newly listed company. Following an IPO, an average of 77% of companies are still listed on the London Stock Exchange ten years on. 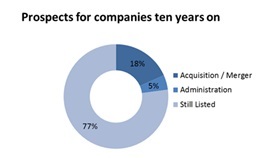 Of the 23% that are no longer listed, around 18% have either been acquired or involved in a merger, with the remainder going into administration. 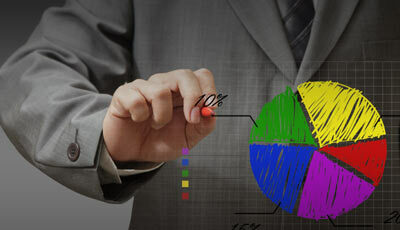 However, it is worth noting that often an acquisition or merger can be as a rescue or means to prevent administration. Justin Cooper, CEO of Shareholder Solutions at Capita Asset Services, said: “The IPO market has been reaching fever pitch so far this year, with a steadily increasing queue of companies looking to take advantage of strengthened market conditions. As things stand, our preliminary forecast made last summer that the value of IPOs would increase by 50% this year is already looking conservative. IPOs perform a vital function, bringing fresh life to the market, boosting the variety for both retail and institutional investors in light of the long-term attrition that takes place on the market as companies go through their life cycles. For issuers, listing presents a key exit opportunity for owners, or a means to raise new capital for investment.